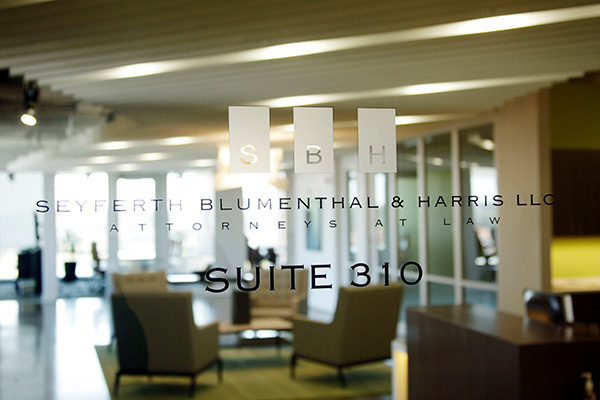 Whether your company is being sued – or whether your company is contemplating filing a lawsuit – Seyferth Blumenthal & Harris’ lawyers have the experience to vigorously represent your business’s interests. We have the creativity and flexibility to offer alternative billing arrangements to litigate complex business disputes. In 2017 alone, Seyferth Blumenthal & Harris collected more than $170 million in settlements for its clients, using blended hourly rates. Some businesses prefer hourly rates. Others request flat rates. And some companies ask that we litigate on a “contingency fee” basis so that SBH becomes a “partner” in the litigation – bearing risk and enjoying in the rewards of litigation. We are comfortable with any of these approaches and other alternative billing arrangements.